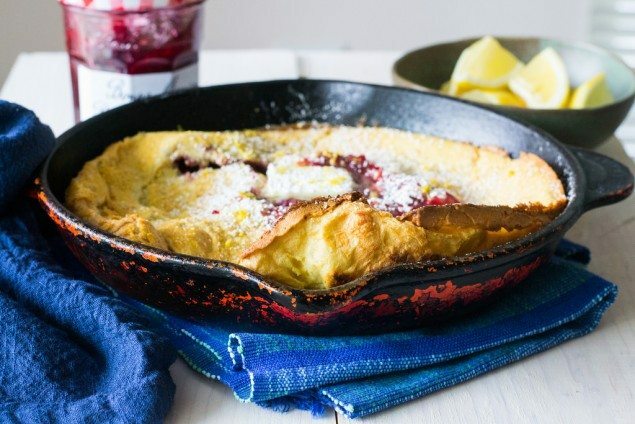 Fall in love with this perfectly rustic, simple, but still impressive brunch dish – the raspberry lemon dutch baby pancake. 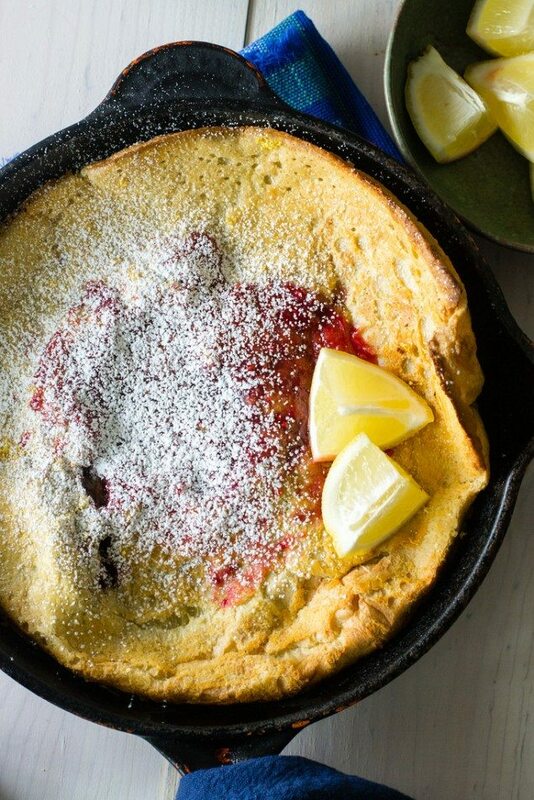 A simple and such an impressive brunch dish, raspberry and lemon dutch baby pancake has been on my mental bucket list for sometime. I love dutch baby pancakes in all it’s being. 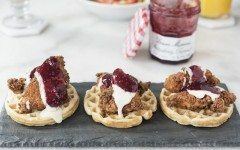 The rustic and unapologetic puffs and deflation the pancake goes through. It’s amazing what science and cooking can create. Room temperature eggs have more of a “puff” factor versus cold eggs that would not. Cooking tip to keep in mind. 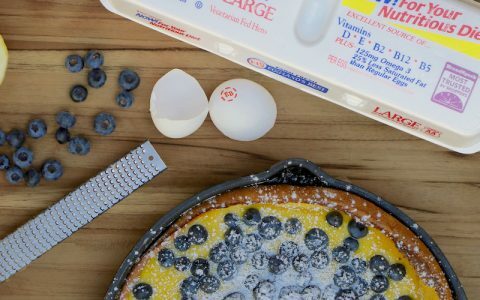 From beginning to end, this eye catching dutch pancake can be on the table and devoured in just about 30 minutes, most of the time spent in the oven, leaving you to focus on brunch amenities and pouring another mimosa. Champagne and an easy brunch sounds glorious, doesn’t it? Mom would approve. 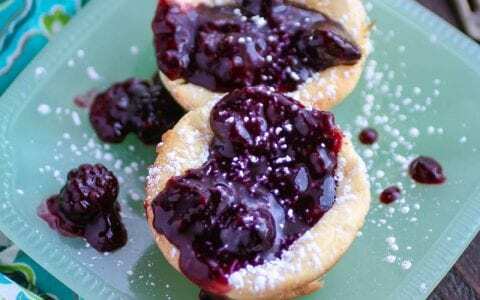 An extra scrape of lemon zest into the batter flows perfectly with the sweet raspberry jam and brightens up the dutch pancake perfectly. Once done, swirl it on top of the dutch baby straight out of the oven with a tablespoon of butter and a fresh squeeze of lemon juice at the end. 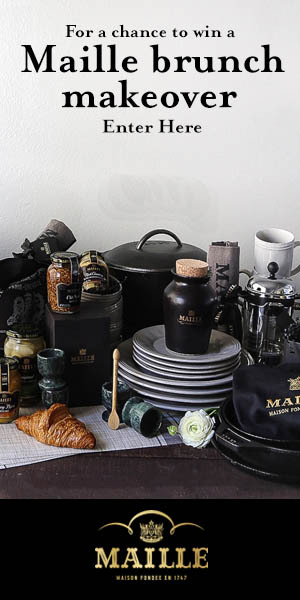 Bonne Maman is giving away a gorgeous 12-piece set of Le Creuset cookware plus many other goodies (over 1,000 prizes!) on their website. Click below to enter! 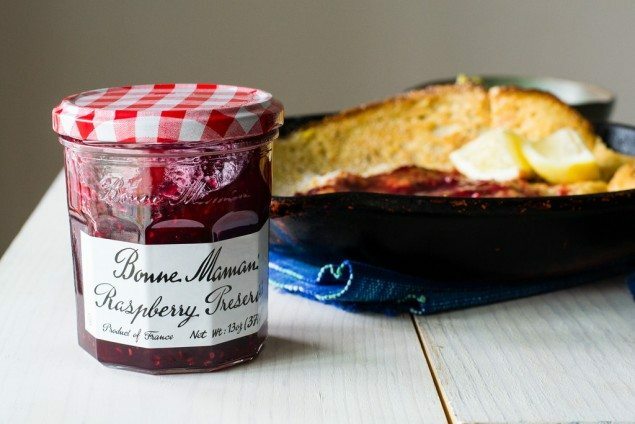 Who doesn’t love beautiful cookware?! 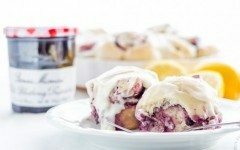 Fall in love with this perfectly rustic, simple, but still impressive brunch dish - the raspberry lemon dutch baby pancake. 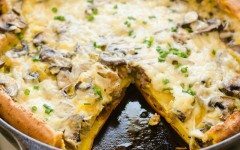 First pre-heat your oven to 425 degrees F.
In a small-medium cast iron pan, melt 2 Tb of butter, swirling around the pan to coat the bottom. Pour in the pancake mixture and place in the oven and cook for 20 minutes.